The Salmon River is running low when Idaho’s newest dory slides off the boat ramp and rounds the rocky bend away from the put in. The boat is aluminum, perfect for August’s shallow water. The oars sit comfortably in a veteran guide’s hands. On the white hull of the boat, black lettering spells O-W-Y-H-E-E.
Dories rowed in Idaho and the Grand Canyon have a long tradition of being named for places that have been destroyed by human development, or in some cases, places that deserve continued conservation efforts. Last summer, in his inauguration of the Grand Canyon’s newest dory, the “Marble Canyon,” OARS. Founder and President George Wendt said, “Conservation is a fight that is never over.” As an ongoing reminder of that sentiment, dories continue to honor some of the best natural wonders we have, as well as many of the treasures we have lost. 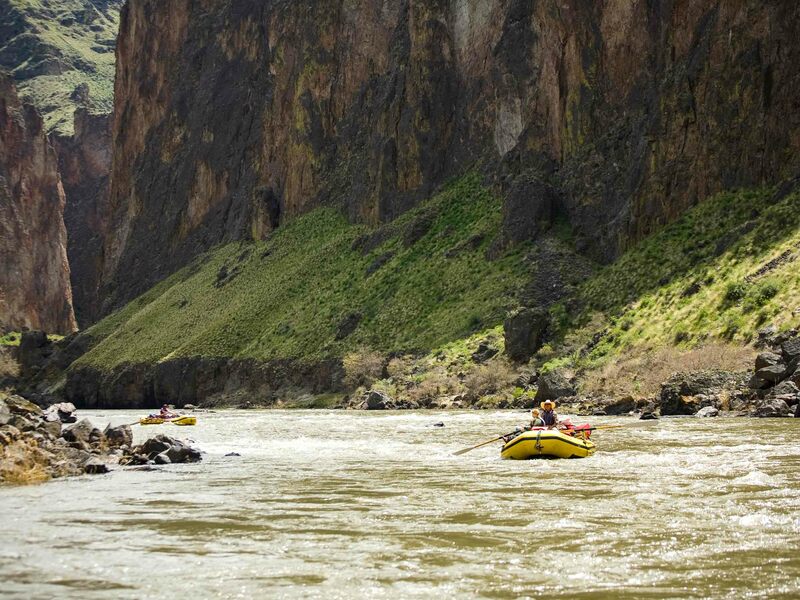 The Owyhee Canyonlands, as much as the boat itself, need introduction. 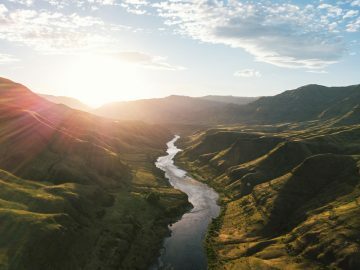 Tucked into the corner of southeastern Oregon, northern Nevada and southwestern Idaho, the 2.5 million acres of undeveloped land that make up the Owyhee ecosystem is one of the most remote and wild places in the country. 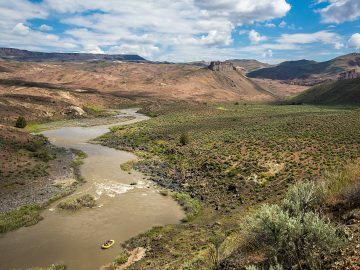 The Owyhee River, which flows through this rugged wilderness and cuts deep canyon walls as high as 1,000-feet in some places, is a renowned early-season whitewater trip. Guides who know of this gem start watching flow reports in late winter, hoping that this will be the year that they can return to the river’s rapids named Artillery, Whistling Bird and Montgomery. 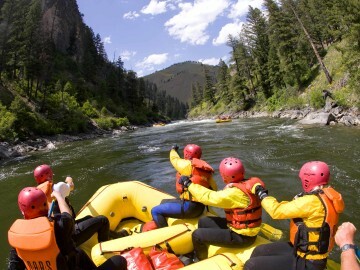 The window for Owyhee River rafting is based on snowmelt and is often only a matter of weeks, which makes the chance to boat these waters all the more coveted. So is the dory named for a conservation win or loss? The greater Owyhee Canyonlands have been both. 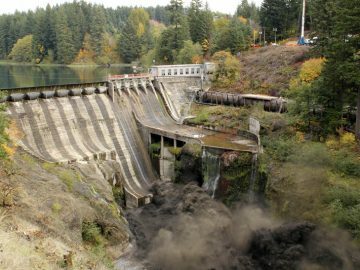 The completion of the Owyhee Dam in 1932 for irrigation purposes (Idaho’s “Famous Potatoes”) has blocked most of the river and its tributaries from spawning steelhead trout and salmon. The area is remote, but also vulnerable to unmanaged all-terrain-vehicle roads and extractive industry. Further, climate change threatens the delicate high-desert ecosystem and the snow-melt based river flows. Conservation efforts, however, continue. 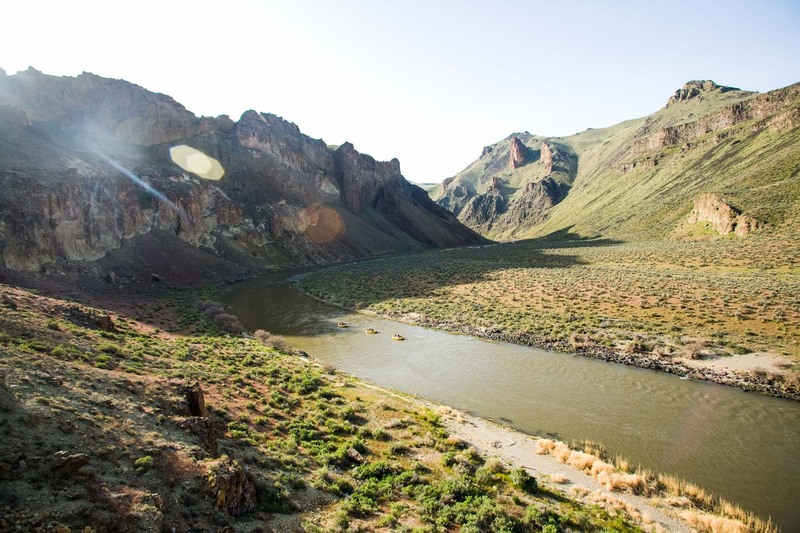 In 1984, 120 miles of the Owyhee River were protected under the Wild and Scenic Rivers Act. Later, in 2009, the Omnibus Public Lands Management Act designated 323,274 acres of wilderness in the North Fork Owyhee Wilderness, Owyhee River Wilderness and Pole Creek Wilderness (all Idaho lands). 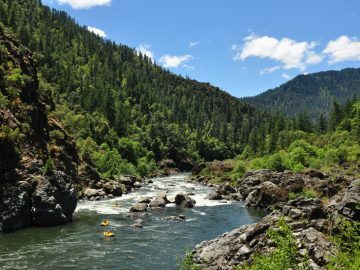 And now, a variety of Oregon-based organizations are advocating for protecting an additional 2 million acres as wilderness within a National Conservation Area. The groups are also pushing for increased Wild and Scenic River designation within the greater Owyhee ecosystem. River guide Nick Grimes has spent a lot of time in the greater Owyhee Canyonlands boating and studying desert plant ecology. When it came time to name the newest dory in the OARS. Idaho fleet, he suggested recognizing and promoting this unique area. 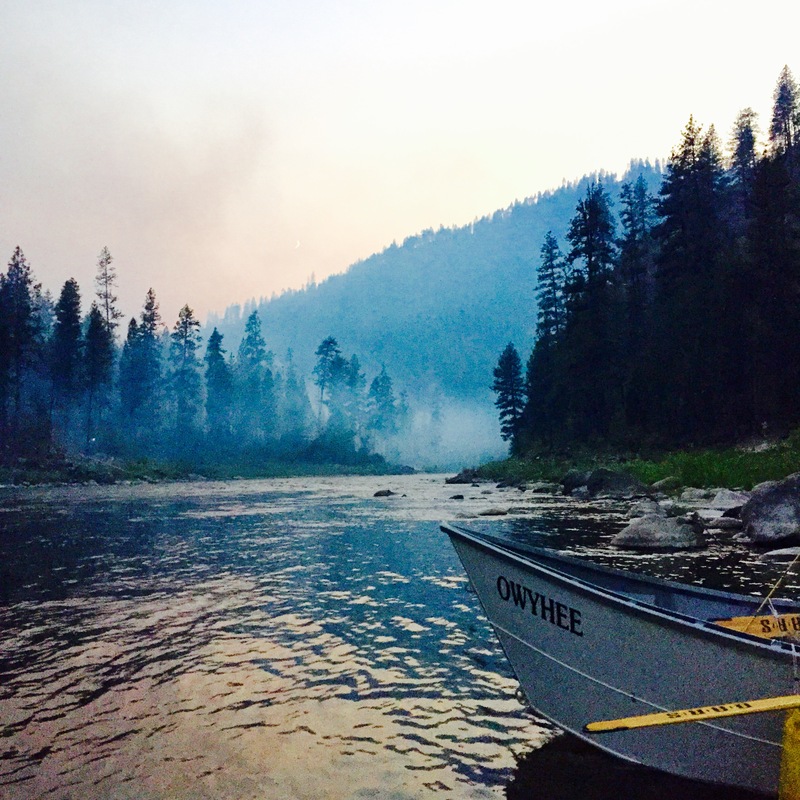 He also noted that the Owyhee River was one of the original Idaho river permits held by legendary conservationist and dory guide Martin Litton who fostered the tradition of naming dories. 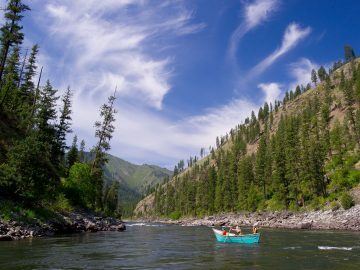 On its inaugural run down the Salmon River last August, the Owyhee and its captain avoided major rocks and bumps for a clean run. In honor of the ephemeral desert river and landscape for which it’s named, the Owyhee is sure to have many trips in its future. To learn more about the Owyhee Canyonlands and to help preserve one of the last great unprotected areas in the West, visit wildowyhee.org.